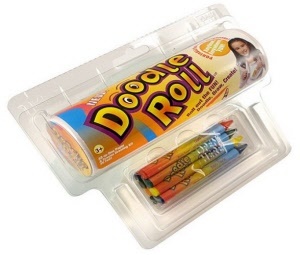 Doodle Roll is the all-in-one Paper and Crayon drawing kit. 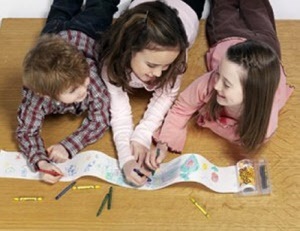 Convenient resealable pack | eight coloured non-toxic crayons | a paper roll 15cm wide and 15 metres long! 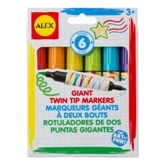 Giant, washable markers that feature a dual tip - thick on one side and thin on the other.